Twisted is showing us now modeling is going for their M'Dusa mini they're working on. In this next stage of the process, I've added the main shapes of the clothing and started on the detail work. 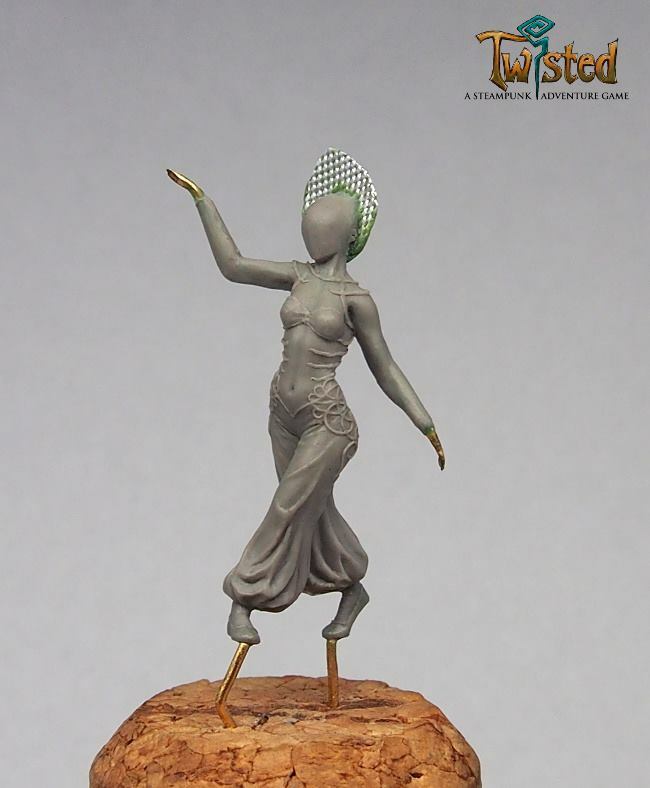 I think this stage shows why it is important to start with the correct anatomy as a foundation, especially for a miniature like this one where lots of flesh will be shown. It's a lot easier to get the anatomy looking right in the first stage, before worrying about adding clothing or detail work over the top. Once you start adding clothing and details, it gets very difficult to go back and correct any of the underlying anatomy!